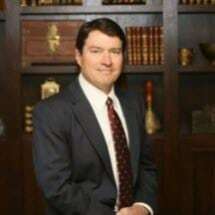 As an experienced Certified Public Accountant, Brian has formed a particular expertise in litigation matters involving complex accounting and financial transactions. Drafting commercial transaction documents such as asset sales agreements, leases, employment contracts, nondisclosure agreements, shareholder agreements, notes and security agreements. Trademark Infringement: Represented international import company in the prosecution of infringer on trademark in federal court in Northern District of Texas. Case remains pending. Breach of Distribution Agreement: Represented national product broker in dispute with out of state distributor concerning placement of products in Walmart in district court in California. Case settled days before trial. Partnership Dispute: Represented major developer in defense of breach of contract and breach of fiduciary duty claims all the way to Texas Supreme Court where decision at trial court was reversed and rendered in favor of developer client. Shareholder dispute: Represented minority shareholder against majority shareholder in dispute concerning medical practice filed in District Court in Tarrant County. Case settled before trial. Breach of contract and breach of fiduciary duty: Represented claimant in land dispute pending in Travis County Probate Court. Represented the Federal Energy Regulatory Commission (FERC)-approved Regional Entity for the Electric Reliability Council of Texas (ERCOT) in a contested hearing before the Texas Public Utility Commission to enforce compliance with North American Reliability Corporation (NERC) standards. Case remains pending. Drafting complex distribution agreements for national brokerage company to place products in Walmart.